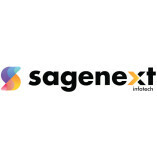 Switching to Sagenext’s prolific cloud-based QuickBooks hosting solutions empower you to redefine the scope of your accounting business and explore unprecedented opportunities to serve and establish long-term relationships with your clients and... associates. Move beyond the limitations of local desktops and in-house servers, gift yourself the convenience to access and use a fully functional desktop version of QuickBooks with the same interface, tools and features whenever and wherever you wish without spending a fortune. Simply put, QuickBooks cloud hosting services go a long way in helping both businesses and professionals, who need and deserve more speed, freedom, mobility, flexibility, security, and multiple-device accessibility for seamless business accounting! I needed an accounting software for my new small business. Did some research online and realized QuickBooks was my best call. Next, I searched for the best QuickBooks hosting provider and landed on Sagenext. So far, my experience has been great. QuickBooks hosting is a must have for entrepreneurs and I am glad I chose Sagenext. I must say that the experts of Sagenext are very helpful. They assist with sustainable solutions without any delay. It was hard for me to handle tax season stress but now I am handling taxes like a pro. Outsourcing accounting services is quite hard for my company due to which I was experiencing huge loss. But, thanks to smart hosting solutions of Sagenext that ensure security to my data and provide freedom of access to my staff.